This MA in Human Resource Management is ideal for those looking to develop a career in Human Resource Management through an academic qualification and professional membership to the Chartered Institute of Personnel and Development (CIPD). This programme focuses on developing the knowledge and experience necessary for analytical, technical and behavioural responses to contemporary issues in this field. The Chartered Institute of Personnel and Development (CIPD) recognises The University of Hertfordshire Business School as a credible educational institute and enable students who successfully complete the programme to meet the equivalent requirements of the CIPD Advanced Diplomas in Human Resource Management or Human Resource Development. OR other appropriate experience as determined by the Programme Tutor and two or more appropriate references. Please visit our website for our latest tuition fees, how to apply for a tuition fee loan and for further information about financial support. 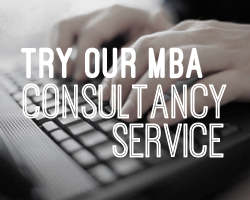 Fill out your details to find out more about MA in Human Resource Management.